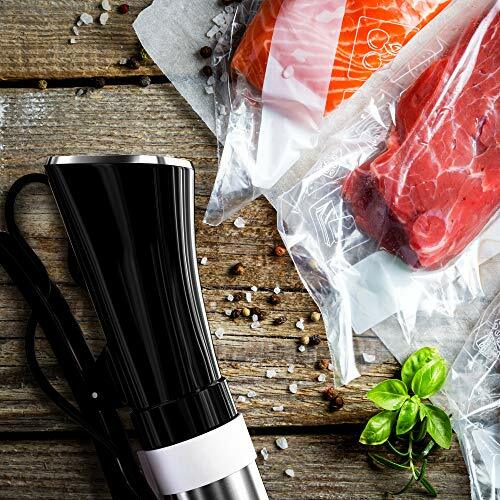 What are Commercial Sous Vide Machines? Whether you are looking for new equipment for your restaurant or just want a sous vide cooker at home with more capacity, commercial sous vide machines will ensure that your dishes are cooked perfectly every time. There are various types of sous vide cookers. The basic ones that can be used at home are also called immersion circulators and feature a very simple one hand operation. It would require a pot or a sous vide container. A commercial sous vide machine on the other hand, looks a lot like a mini oven or a pressure cooker. Its exterior can be stainless steel or high quality plastic. There is also an immersion type sous vide machine that is suitable for commercial use. They are also called thermal circulators and look like bigger versions of immersion type home sous vide cookers. These are ideal for professional chefs or for those who often entertain a lot of guests. Just the same, most of the models can be clamped into a pot or sous vide container. Others are more unique in design. They have a big capacity and can often cook a pot of up to 65 liters or more. There is a particular type of commercial sous vide machine that is made of platinum instead of stainless steel. Instead of a stainless steel rod found in home sous vide machines, a commercial thermal circulator may feature a metal body that looks a lot like small cage with the heating element inside. It has up to a 56-liter or 14-gallon capacity, sometimes more. The temperature settings can be adjusted from 41 degrees Fahrenheit to 200 degrees Fahrenheit, depending on the model. These may offer more complex settings than a typical home sous vide immersion circulator. Some of them offer several preset temperature settings so you don’t have to adjust the temperature yourself. They offer pump-flow regulation so you can select high or low pump speeds. Another type of a commercial sous vide machine is the sous vide water oven. It looks like a big square rice cooker with a stainless steel body. Inside this water oven, you will find stainless steel racks where you will place your vacuum bags that contain your food. You fill the oven with water, set the temperature in the control panel, close the lid, and wait for the food to cook. Because commercial sous vide cookers are intended for bigger capacity and heavy duty use, there are a few things that you need to consider. An important feature that you need to look for when buying a commercial sous vide machine is a temperature sensor. You may not need it for home cooking but this is important when cooking big amounts of food to prevent overload and overheating. 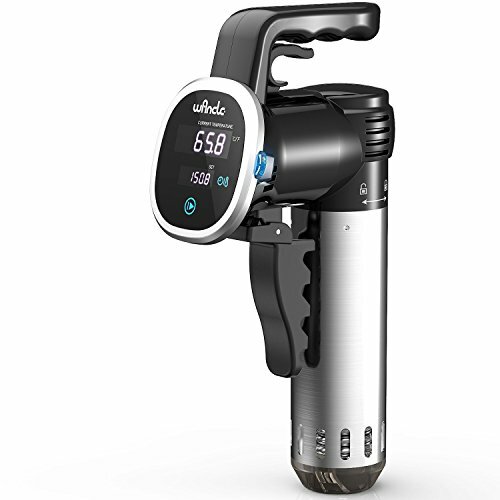 A commercial sous vide cooker must also have an adjustable pressure flow. Preferably, it must deliver a maximum pressure rate of 12 liters per minute. It is also ideal that your commercial sous vide machine features low level water protection. This would automatically switch off the device in case it is accidentally used without water. Commercial sous vide machines have more power than home sous vide cookers and if it operates without water accidentally, it could cause a lot of problems. Commercial models may also consume more energy than home devices so it’s good if the machine has energy saving features.